Our 18th auction lot is by the super talented Angela from Gloss n' Sparkle. This polish makes me very jealous of all of you as I can't bid on it! Newborn Unicorn is the new family member to Gloss n' Sparkle's very popular Unicorn Droppings and Unicorn Spawn. 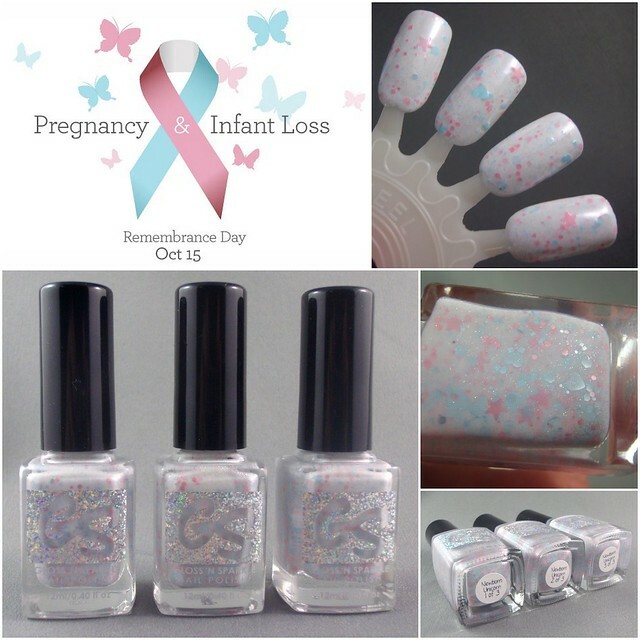 Newborn Unicorn a milky white base with fine holographic silver sparkles, and various shapes and sizes of pastel pink and blue glitters. There is 3 bottles for auction and the 3 highest bidders will win. 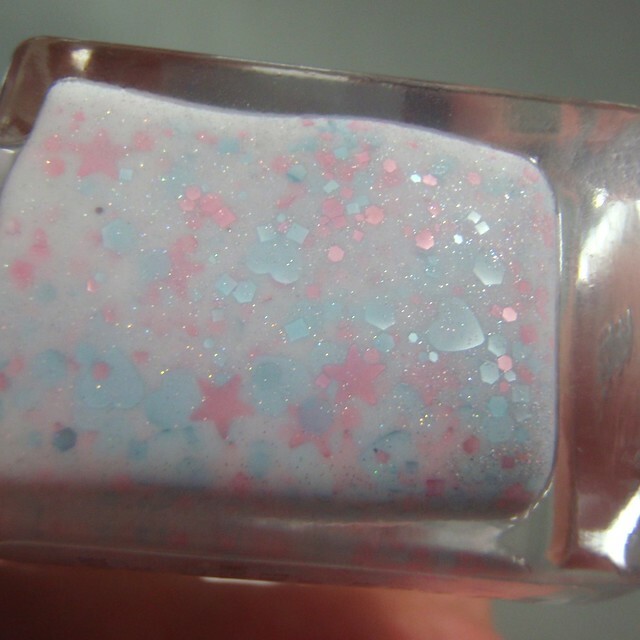 This is the only time you will be able to get Newborn Unicorn as it has been created especially for Wave of Polish. It's just so beautiful! Good Luck!